news Australian IT solutions firm Data#3 has announced the signing of a new deal that will see it continue to provide infrastructure support for Brisbane Airport Corporation (BAC) for a further two years. 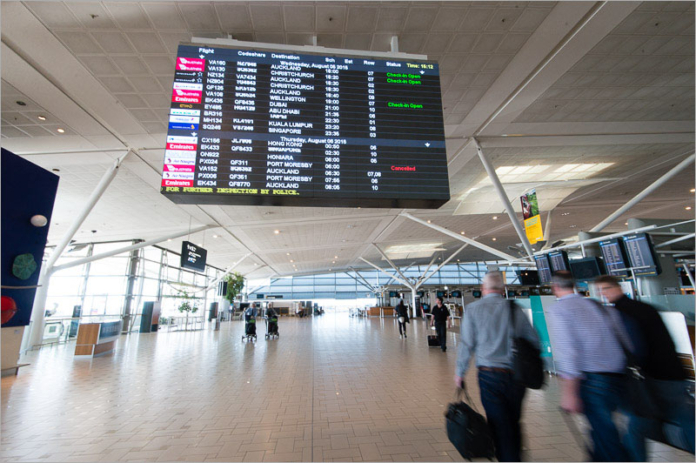 The agreed solution with extended services – to be provided until June 2018 – will consolidate the management of BAC’s IT systems, affording the firm to focus on its core business of running “one of the largest Airports in Australia”, Data#3 said in a statement. The new solution will see BAC receiving an “improved” services delivery model which aligns with BAC’s strategy towards a “self-service and digital transformation”, it added. The benefits of the deal are cited as including improved knowledge management systems and portals, more responsive service and the provision of “innovative” IT services and infrastructure to the changing needs of the airport. Additionally, Data#3 said it will reduce risks in the management of secure technology assets and business data. As part of the service, Data#3 will provide 24/7 service desk management, as well as providing network, server, database and desktop support to 350 BAC corporate staff, and network connectivity to over 20,000 airport workers. “Building on the back of a first-generation ICT outsourcing deal with Data#3, we now need to elevate the relationship to a more strategic level,” said Mansoor Karatela, Chief Information Officer at BAC. “We needed a technology partner who could be agile and flexible enough to not only manage our day-to-day ICT operations well, but also partner with us to transform and grow our business,” Karatela continued. “The renewal of our outsourcing arrangement with Data#3 was a logical progression which will allow us to work together to deliver a first class service to our clients whilst also driving operational efficiencies across our broad ICT environment,” the CIO said. Data#3’s previous contract with BAC, a mix of on-site and remotely delivered IT services, had recently come to the end of its term. “As the service satisfaction percentage had risen to a consistent 90% over the last 12 months, BAC was confident that Data#3 was the partner of choice,” the IT firm said in a statement. Data#3 CEO Laurence Baynham said: “This extended agreement with Brisbane Airport Corporation is one that the entire Data#3 team is very proud of. Reinforced by our commitment to service excellence for our customers, this demonstrates the high service standards achieved over the last 12 months. Baynham said that staff are focused on supporting Brisbane Airport Corporation in delivering “ongoing, optimised services” and will continue to increase their knowledge and skills in the “highly demanding Airline Industry”. About the picture, Qantas Group A380s come to BNE?